This badge was issued to Thomas Thornton on 19 Jan 2019. 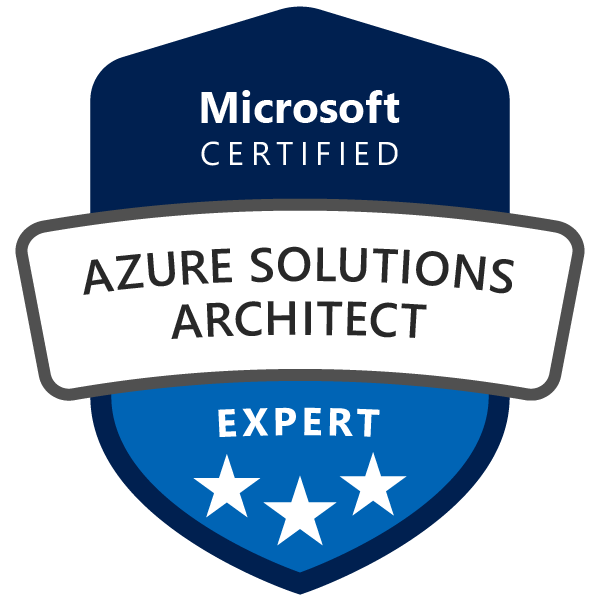 Earning the Azure Solutions Architect Expert certification demonstrates skills and knowledge to advise stakeholders and translate business requirements into secure, scalable, and reliable solutions. Candidates have advanced experience and knowledge across various aspects of IT operations, including networking, virtualization, identity, security, business continuity, disaster recovery, data management, budgeting, and governance - managing how decisions in each area affects an overall solution. FOR CANDIDATES WHO HAVE TAKEN EXAM 535: ARCHITECTING MICROSOFT AZURE SOLUTIONS: Complete the AZ-302 Microsoft Azure Solutions Architect Certification Transition exam to earn your Azure Solutions Architect Expert certification. Please note: If you have not taken Exam 535, you will not earn a certification by taking the AZ-302 transition exam.